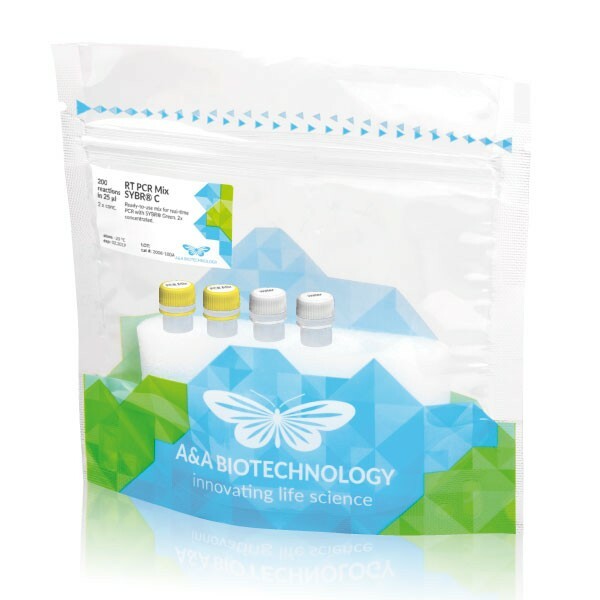 Ready-to-use mix for real-time PCR with EvaGreen®. Used for HRM analysis. 2x concentrated. Ready-to-use mix for real-time PCR with fluorescent probe. 2x concentrated. Ready-to-use mix for real-time PCR with SYBR® Green. 2x concentrated.